What do you do when you have an up coming party or something and you have finished buying all your gifts, but now do not have it in the budget to buy wrapping paper? Well, chances are you may already have everything you need on hand to wrap some beautiful gifts! You just have to do a little thinking outside the box. Below you will find a few wrapping paper ideas that I often use. 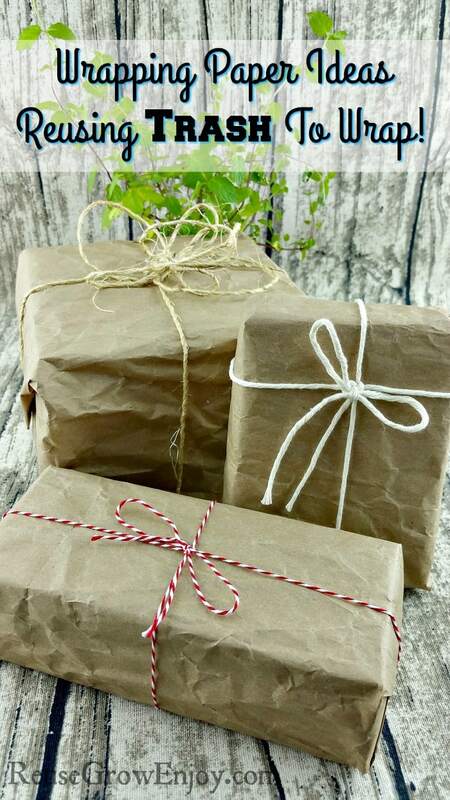 Plus one of the best things about these wrapping paper ideas is not only are they budget friendly, they are reusing things like trash! One of the best things I have found to wrap gifts in is the packaging that comes in the box. Well, I guess I should have said the packaging that comes from bought online gifts. These days, most packages that come from say stores like Amazon, have brown paper padding in them. That works amazing for wrapping gifts in! However if you did not buy your gifts online, you may still have a few wrapping paper ideas to use. First, when shopping, try to get paper bags when available. You can ball them up a few times to get that crumpled look. Then you can cut it to wrap the gift. Just be sure to put the writing on the inside so that it is not visible. Another great option to use is newspaper. If it is an adult you are wrapping for, stick to black and white pages that have the most text. If it is kids, the comics are a huge hit! If you have any leftover plastic table cloths, maybe from a party or something, these work really well for large items. If you just have some small gifts to wrap, here are a few more wrapping paper ideas that work well for small things. You can use plastic shopping bags too. You normally will need to use a few layers to hide the gift. Plus I like to cut off the side of the bag that has the writing on it. Napkins, yes napkins can make for a nice option for small things. Oh and old fabric! If you have a bin like I do, I save old clothing, sheets, cloth napkins and just about any kind of fabric from things that may have a stain or hole that is no longer usable for what it was made for. Then you can just cut out a small piece (around the areas that are stained or have holes) and use it for some great wrapping paper ideas! 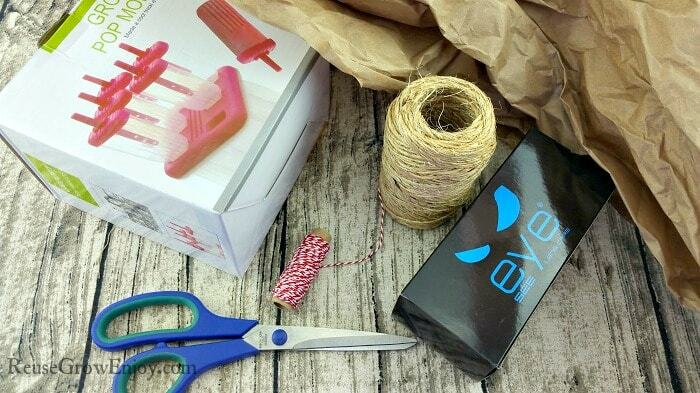 Now that we have covered a few great wrapping paper ideas, let us talk string, bows, and packaging toppers. There is no need to buy high priced bows that just get tossed after one use. You can get that same pretty look by using things like bakers and crafters twine or even cooking string. Also, a simple plain sisal or jute twine works really well. But if you do not have those on hand, just try and do a little thinking of the types of string or twine you do have. How about yarn or plarn? They work well too and I have used them a few times. Other great options for a gift toppers is to maybe use a small item from the gift. Say for baby showers, did you buy socks or maybe a rattle or binky? Those are super cute on top of the gift. You can always make super cute bows out of things like tissue paper, napkins or plastic bags. When looking for wrapping paper ideas, it really does not have to be pricey wrapping those gifts. You just have to do a little extra thinking and get creative. Plus it makes it fun I think when you add that little extra special touch, that is made by you! After all, it is the thought of giving that matters, and not what the gift is or how it is wrapped, right!? If you are looking for other ways to reuse trash and other items, here are a few ideas to check out.